The ancient,1500 year old temple of the Buddhists at Gaya was shaken with several blasts in and around the premises injuring two monks of foreign origin. Security agencies suspect that Indian Mujahideen may be behind Sunday’s multiple blasts and a man who is considered to have links with Indian Mujahideen has been detained from Kolkata. The Securities suspect this is an avenging response from IM in retaliation to the attacks on Muslims in Myanmar.Even LeT had warned Buddhists of attacks in retaliation to the attack on Myanmar Muslims. 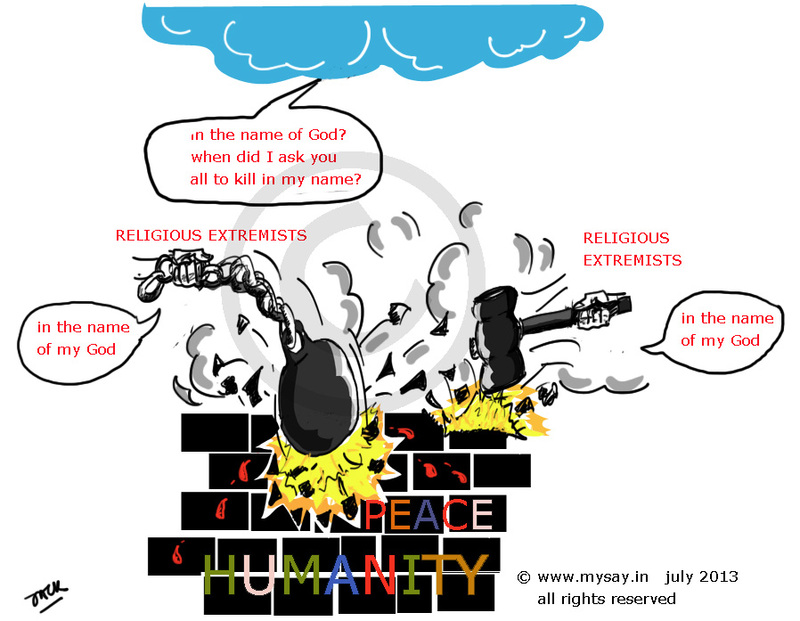 How long will Humanity by crucified by Religion ?